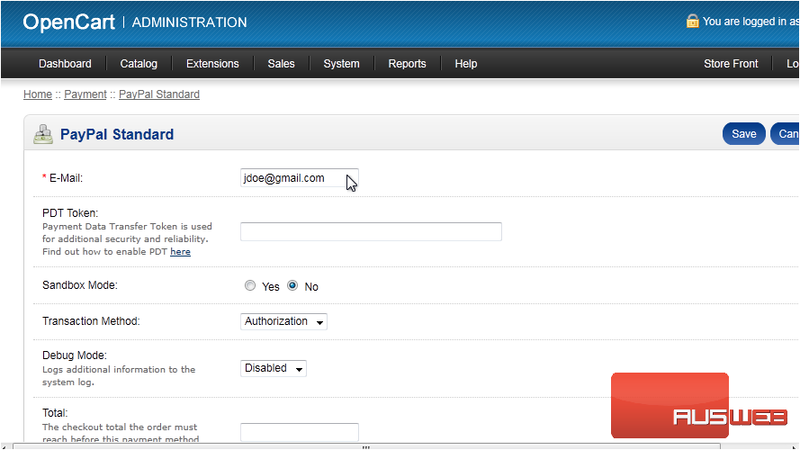 OpenCart allows you to accept many different payment methods. Let’s see how to setup PayPal. 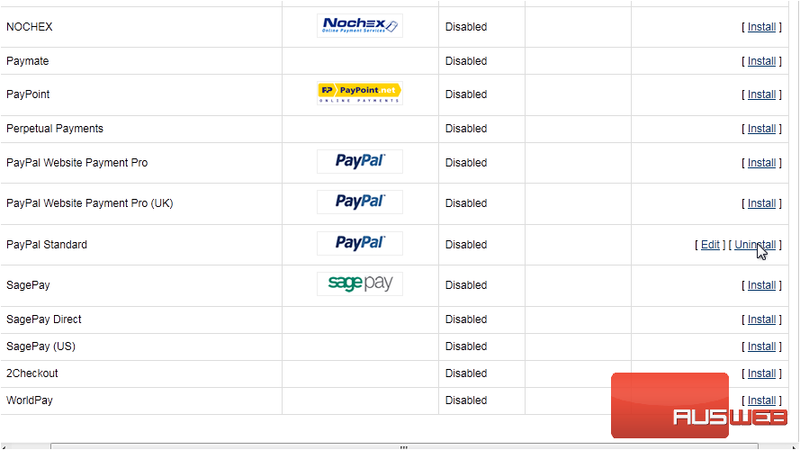 3) Click Install next to PayPal. 4) Once installed, click Edit. 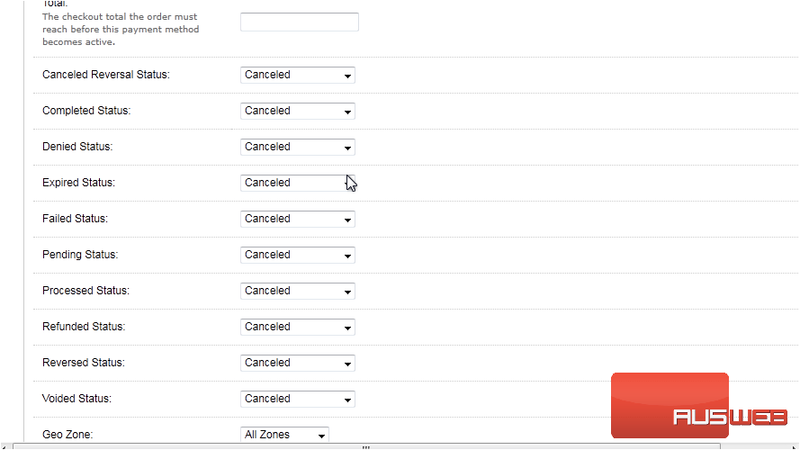 These options may vary for each payment method you decide to setup. 5) Enter the e-mail address for your PayPal account. 6) Set the action that should be taken for each status. That’s it! 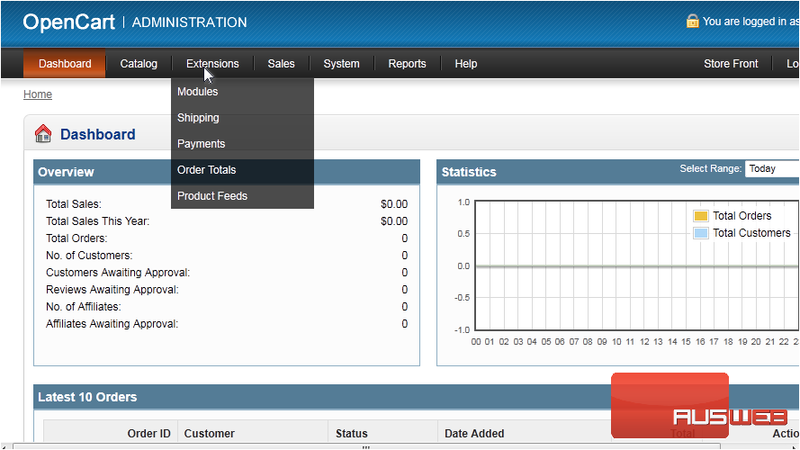 Now you know how to setup a payment method in OpenCart.